The ‘facilitraining rainbow’ won’t lead you to a pot of gold but it will enable you to decide on the most suitable approach for your next facilitation session. This innovative decision-making model is central to The Facilitator’s Pocketbook – a comprehensive guide covering all stages of facilitation, from planning through to implementation. Interpersonal skills (including attitudes and values) and session skills (including energising and problem solving) are dealt with at length. 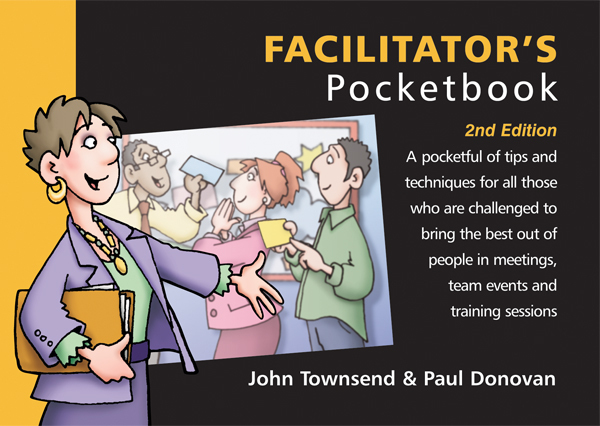 This second edition contains significant new material, notably the addition of a detailed case study and examples of six typical facilitation sessions.